The European Roma Media Network was an outcome of ERIO’s conference “Media: a key tool to fight hate speech and anti-Gypsyism” organised on 23 June 2015 in Brussels. The ultimate goal of this informal Network is to join efforts to invert the role of the media as a tool to fight anti-Roma sentiments and anti-Gypsyism. The media has a crucial role in combating racism and stereotypes about the Roma. This can be achieved with an ethical and critical journalism which aims to raise awareness and provide a greater understanding regarding Roma issues. The role of the Network is to provide an online platform for different stakeholders to exchange information and ideas about good practices and to discuss possible challenges and opportunities in tackling negative stereotypes and hate speech in the media. A parallel objective of the Network is to monitor and react to hate speech and negative portrayal of Roma in the media and address the responsible authorities. 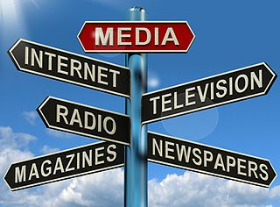 Members of the Network should be journalists (Roma and non-Roma), media experts or NGOs working on media. To request membership please fill in this registration form. All membership applications will be internally evaluated before you get a confirmation.